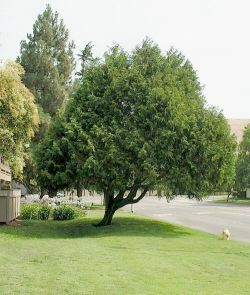 Comments: Evergreen conifer native to eastern Canada, the Upper Midwest and New England portions of the US. Dark green scale like leaves in fan like clusters, cones redish brown and one half inch diameter. Bark is dark brown and scaley. Also known as Northern White Cedar.